Please re-visit for new ones. See c.v. for more previous ones. Grief Therapy with Latinos: Integrating Culture into Psychotherapy -Workshop at 2012 Biennial Conference of the National Latino/a Psychological Association in New Brunswick, New Jersey on October 13, 2012 at 3:15 Janeway Room. Dr. Vazquez will present with Dr. Dinelia Rosa. Keynote speaker at CEMA (American Psychological Association’s Committee of Ethnic and Minority Affairs) virtual presentation 7:00 PM to 8:30 PM on April 26, 2012. Students ask Dr. Vazquez questions about her research and career decisions and advice on minority student-related issues. The Psychological Impact of Sudden, Unanticipated Losses: Important Considerations of Grief Therapy with Latinos. March 23, 2012. 11:00 AM to 12 Noon, at Ponce School of Medicine, Psychoneurometrics Building, Ponce, Puerto Rico. The Narrative of Loss: Conducting Grief Therapy in a Diverse Context. 30th International Congress of Psychology, July 22-27, 2012 in Cape Town, South Africa. 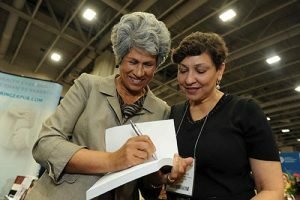 Book Signing at American Psychological Association (APA) Convention in Washington, D.C. – Saturday, August 6, 2011 at the Springer Publishing Company exhibit for Dr. Vazquez’s book Grief Therapy with Latinos: An Integration of Culture for Clinicians. Presentation at American Psychological Association (APA) Convention “Achieving Competency Through the Integration of Culture in Grief Therapy.” Sunday August 7, 2011. The Renaissance Hotel, Washington, D.C. Sponsored by Division 52. Plenary Panelist: “Faith, Culture and Grief.” Conference is “Healing: Grief, Compassion and Hope” at St. John’s University. November 12, 2011. Keynote Speaker at the Rutgers Graduate School of Applied and Professional Psychology 8th Multicultural Competence Across Settings event. Her presentation is entitled “Considering Culture and Loss in Clinical Interventions: Grief Therapy with Latinos.” October 14, 2011. “Practical Overview of Neuropsychological Testing.” HB Litigation Conference; Lead Litigation Audiocast; December 2, 2009. “Practical Overview of Neuropsychological Testing,” Lead Litigation Conference, May 19, 2009, Philadelphia. ” Hispanics in Mental Health.” Family Service Association’s 2nd Annual Multicultural Competence Training Conference. Atlantic City, New Jersey. June 26, 2008. ” Neuropsychological Assessment with Latina/o Populations: An Illustrative Case Study.” American Psychological Association Convention. San Francisco, California. August 19th, 2007. “Bridging Different Worlds: Providing Psychological Services Across Cultures in the College Setting.” Friday May 5, 2006 at Vassar College in Poughkeepsie, NY at the Consortium on High Achievement and Success (CHAS)Targeted Professional Meeting. Group Psychotherapy with Latinas at Grand Rounds, Lincoln Hospital Center April 2006. Two lectures on Parenting with Pride a the Seventh Annual Latino Expo on Sunday, October 16, 2005 at the Marriott Marquis Hotel in New York City. Keynote Speaker at Third Annual Statewide Cultural Sensitivity Conference of the Cultural Sensitivity Institute (CSI) of Camden County on Wednesday, August 3, 2005 at the Mansion on Main Street in Voorhees, NJ. The conference is from 8:00 – 4:00 p.m. Details. 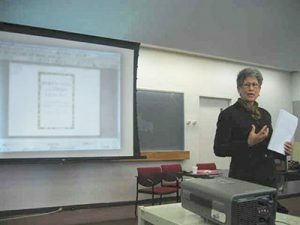 Keynote Speaker at William Alanson White Institute in New York City on Friday, June 3, 2005. 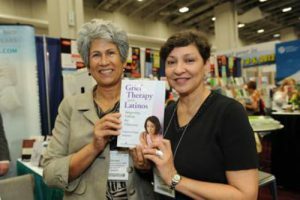 “Cultural Diversity in the Consulting Room: Psychotherapeutic Considerations When Working with Hispanic/Latino Clients.” St. John’s University in April 2005. April 15, 2005 in Chicago. State University of New Jersey at Rutgers on April 8, 2005: Diverse Perspectives on Careers: Students Helping Students Bridge the Cultural Gap. October 2004: Presentation on Parenting with Pride Latino Style in the Continuing Education Course “Diversity Challenges in Independent Practice: Building Multicultural Competence” sponsored by the New York State Psychological Association. Noticiero Telemundo (National TV News , El Diario de la Mujer, Presented at Miami Dade Community College Hispanic Heritage celebration, Telemiami TV, Radio WSUA-AM CBS Presented at Society for Public Health education, Newspaper El Imparcial in Miami, Newspaper La Estrella in Dallas, Forthworth, Texas, La Prensa, San Antonio, Texas, El Vocero de San Juan Puerto Rico, El Nuevo Dia in Feb 2005 in Puerto Rico. Vision Hispana Newspaper, Universal Prensa in Puerto Rico, La Perla Del Sur in Puerto Rico, La Gaceta in Puerto Rico. La Opinion, Houston, Sunday Star Ledger in New Jersey, New York Post, Daily News, San Diego Union Tribune, Mundo Hispano Stockton, Eco Latino, The Dallas Morning News, Tampa Tribune Houston Chronicle. Bookstore presentations at Borders in Coral Gables Miami and in Puerto Rico, Cultura Latina in Los Angeles, and Lectorum. Vazquez, C.I. 2003. Assessment and Treatment of Latino Pati ents: Children, Adolescent and Adults. Fordham University School of Education New York New York. Vazquez, C.I. 2001, The Culturally Competent Provider. Invited speaker Annual Meeting Association of Hispanic Mental Health Providers. New York, New York. Vazquez, C. I., 1998, Understanding Depression in the Latina Woman, Ground Rounds Presentation at Gouverneur Hospital, New York, New York. Vazquez, C. I., 1996, Acculturation and the Latina Woman, Grand Rounds Presentation at Baptist Hospital, Far Rockaway, New York. Vazquez, C. I., 1991, The Hispanic Child: Relevance of Socio-Cultural Influences. Workshop presented at Conference Taming The Testing Controversy: A Substantive Four-Track Conference, Education Records Bureau, October, New York , New York. Vazquez, C.I., 1988, Career Planning in Mental Health for Minorities presented at American Orthopsychiatric Association 65th Annual meeting, San Francisco, California. Vazquez, C. I.,1988, Relevance of Ethnicity in Mental Health Grand Rounds, presentation at Gouverneur Hospital, New York, New York. Vazquez, C. I., 1988, The Stress Factor in Mental Health for Hispanics Grand Rounds presentation at Lincoln Hospital, Bronx, New York. Vazquez, C. I., 1987, Family Strivings for Dominicans. Invited speaker at Dominican Mental Health Conference. Columbia Presbyterian Hospital And Universidad Autonoma de Santo Domingo Columbia Presbyterian Hospital, New York, New York. vVazquez, C. I., 1980, Development, Research and Usefulness of TEMAS. Presented at the 43rd Annual Convention American Imagery Conference. The Waldorf Astoria, New York, New York.